The Software as a Service (SaaS) acronym has confused many people as vendors have abused the term to hawk anything with a network capability. In order to understand it, it is useful to tease out the core aspects of it agnostic to any specific implementation or product. James Governor, Dion Hinchcliffe and I wrote about it in the book "Web 2.0 Architectures" along with other patterns. In this context, a pattern is the idea of capturing architectural design ideas as archetypal and reusable description. SaaS is in effect, a pattern specifically for the delivery of software functionality to the end consumer. The basic deployment pattern for SaaS involves deploying different aspects of the model, view, and control components of an application to multiple physical locations. 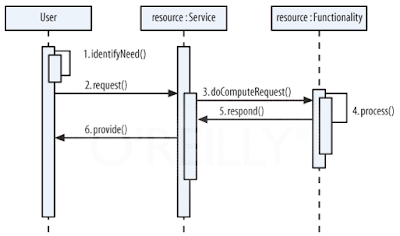 The deployment approach may vary greatly depending on the software and its complexity and dependence on other aspects. Figure 7.9, “Deployment patterns contrasted (SaaS versus conventional approach)” shows how the basic deployment pattern for SaaS differs from traditional software distribution. The spam detection software is housed in a federated server environment, and users’ incoming email can be automatically pre-passed through the filters to detect spam. 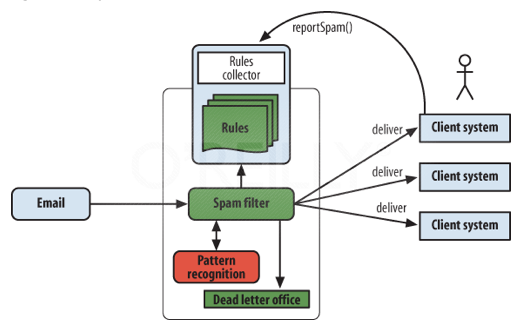 Any spam that sneaks through can be recognized and trapped by secondary mechanisms (including human users) and reported back to the spam detection infrastructure, enabling the system to adapt to the latest spammer tactics. There is no discernable delay or lag in incoming email, and most spam email gets eliminated. This video showcases an absolutely astounding capability of the new Google Nexus One smartphone running the Android operating system (Froyo 2.2) with Adobe Flash Player 10.1. Mingleverse.com is a 3D immersion technology that allows individuals to teleport their avatars into virtual universes. Duane's World Episode 28 - Flexico! OK - This episode of Duane's World took a lot of time to make but it had to be done right. I wanted to capture the real essence of the Mexican Flex developers and show the simplistic beauty of their devotion to Flex. I even tried to convince many of them that they should change the name of Mexico to Flexico. This episode features far too many people to name but it is a must watch. On top of the great interviews and humor, there is a tutorial on Spark graphic primitives in MXML and a great sound track courtesy of my favorite new metal band Entropia! Enjoy!